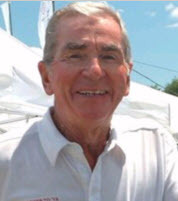 Texas Skyways founder and president Jack Johnson, who in 2013 received the prestigious FAA Wright Brothers Master Pilot Award, died on April 8 in Boerne, Texas. Johnson was 87. Texas Skyways (www.txskyways.com), a full service aviation company, offers engine and propeller upgrades for better speed and climb performance on Cessna aircraft, models 180 through 210. The company has been in business since 1985.